Iron Hill Brewery isn't the only suburban brewpub that has a gluten-free menu these days. 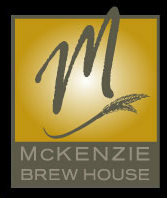 McKenzie Brewhouse, with locations in Berwyn (324 W. Swedesford Rd., 610-407-4300), Malvern (240 Lancaster Ave., 610-296-2222) and Glen Mills (451 Wilmington-West Chester Pike, 610-361-9800), has appys, salads, steaks, seafood and desserts on its menu, along with Green's Endeavor Dubbel ale. Also in Glen Mills is Pig Out BBQ Pit (138 Glen Mills Rd., 610-361-8200). All of the ribs, pulled pork, pulled chicken, beef brisket and sauces are gluten free, and rolls from the all-gluten-free Sweet Christine's Bakery are available. The gluten-free items also can be shipped nationally. The Swarthmore Co-op (341 Dartmouth Ave., 610-543-9805) - the third-oldest co-op in the country - stocks gluten-free products from many brands. Manahawkin's Gluten Free Goodies Galore bakery will have baked goods for sale at the Ventnor International Farmers Market, which runs every Wednesday afternoon (3 p.m. to 7:30 p.m.) through September 12. This summer, the Arts Camp at Appel Farm Arts & Music Center in Elmer, New Jersey (457 Shirley Rd., 856-358-6513) will have gluten-free menu options. Schar's new Honeygrams graham crackers have started shipping to stores, and later this summer look for the company's plain and cinnamon raisin bagels that are made at the new Swedesboro production facility. General Mills has brought back "Dora the Explorer" cereal. While the cereal is not specifically labeled as being gluten free, there are no gluten-containing ingredients. On Tuesday, I wrote about two new beers from Oregon's Widmer Brothers Brewing under the Omission Beer brand. The beers, which are made with barley but test under 10 ppm as a result of the brewing process, will be available throughout the East Coast beginning June 11. There's a beer finder page on the company's website, although there are no listings as of now. If you or your child has been diagnosed with celiac disease through a biopsy in the last 12 months, the University of Chicago Celiac Center will send you a free care package that includes product samples. Call 773-702-7593 for more information. The Philadelphia Gluten-Free Supper Club will meet for dinner at Cantina Feliz in Fort Washington on Wednesday, June 20 at 6:30 p.m. The three-course dinner including tax and gratuity (alcoholic beverages are available for purchase) is $35 per person. RSVP to Daria D. by June 18. Erin at Gluten-Free Fun is co-hosting a Gluten-Free Gourmet Weekend June 21-24 in Vermont. The retreat includes transportation from New York City and all meals and activities. Today is the last day for a $100 discount. Get the details at the Good Commons retreat website. take a look/taste at/of Brunehaut gluten free (<5ppm) beers from Belgium! Made with barley for real beer taste and also organic! Any info on the ingredients of Honeygrams? I couldn't find them on the Schar website.